This medical malpractice claim was filed in Baltimore City when a dentist extracted the wrong tooth. It was filed in Health Claims Arbitration on January 19, 2018, and it is the 32nd medical malpractice case filed in Maryland this year. A 63-year-old man with a medical history of morbid obesity, high blood pressure, high concentrations of fat in the blood, and diabetes. He was also having increasingly frequent chest pain and tightness, which are symptoms of angina (when the heart doesn't get enough oxygen-rich blood). At a cardiac evaluation, the doctor recommended that the man undergo a femoral access cardiac catheterization procedure. After the procedure, the man had an uncontrolled hemorrhage and expanding clotted blood in his right groin, with associated 10/10 pain and low blood pressure. The man was taken to an operating room where he underwent emergency surgery to repair his right profunda femoral artery and evacuate the blood clot. During the following four days of hospitalization before he was discharged home, the man received physical and occupational therapies and required three blood transfusions. Cardiac catheterizations can be performed from a variety of different entrance points. The doctors in this claim performed the procedure with femoral access when they should have used radial artery access. The radial approach is associated with fewer complications for most patients because it is less invasive. 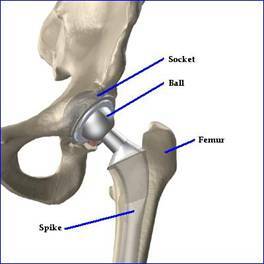 The femoral approach is especially risky for patients with obesity because their altered anatomy makes it more difficult for physicians to find a hard surface (usually the head of the femur) to compress the artery against in order to stop the bleeding. The most common complications of the femoral approach to cardiac catheterization are local, occurring at the catheter entrance site. Up to 3.6% of femoral cardiac catheterization patients suffer local injuries, most often caused by poorly controlled bleeding. When a post-catheterization patient, particularly an obese patient, develops hypotension (low blood pressure) or pain, physicians should immediately suspect a hemorrhage or hematoma (blood clot) and treat the patient accordingly. Most hematomas will resolve a week or two after bleeding stops, but groin hematomas can lead to leg weakness that takes much longer to get better. Large hematomas may require a blood transfusion, but surgical intervention is only necessary in the most severe cases, such as this claim. Failing to adequately perform a femoral cardiac catheterization procedure. Failing to use the appropriate compression or closure devices in a timely manner. Failing to obtain timely diagnostic testing and consultations with specialists. Failing to recognize the risks associated with the catheterization procedure in a morbidly obese patient. The claimant suffered a diminished quality of life, unnecessary hospitalizations, rehabilitation, and loss of the ability to perform activities of daily living due to medical negligence. Defendant physicians never fully informed the claimant of the risks associated with the femoral access cardiac catheterization or of any treatment alternatives, namely the radial access approach. Take a look at another case involving cardiac catheterization. View examples of personal injury verdicts and settlements in Baltimore. Read frequent questions and answers about Baltimore personal injury claims. Learn more about the medical malpractice laws in Maryland.